Even a half-century after his death, Gen. Douglas MacArthur remains one of the most controversial military leaders in American history. His accomplishments often were overshadowed by his outsized personality, his self-importance and his disregard for civilian authority. In fact, it was this disregard that caused him to clash with President Harry Truman, triggering his sensational firing. MacArthur was born in 1880 in Little Rock, Ark. After training at West Point, he joined the U.S. Army engineers, and served with distinction in France during World War I. 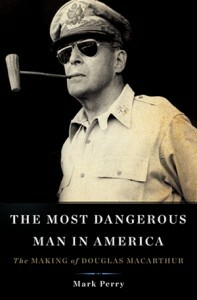 In 1932, Democratic presidential candidate Franklin Roosevelt dubbed MacArthur “the most dangerous man in America.” Roosevelt was aware of the incredible popularity MacArthur had earned from both political parties following World War I, and he knew the war hero could prove an obstacle for his New Deal plans if the general decided to make a run for the White House. After FDR was elected president, he defused MacArthur by offering him a permanent but largely ceremonial post in the Philippines, which he kept until his promotion to commander of the U.S. Army forces in the Far East as America began gearing up for war with Japan. MacArthur inspired extreme emotions. Army Air Corps chief Benjamin Foulois perhaps summed it up best, saying MacArthur was the kind of man people either deeply respected or hated with a passion. It wasn’t difficult to dislike MacArthur. He was headstrong, vain, had a rebellious streak … and a massive ego. His capricious personality even came close to sabotaging the American war effort. Military historian Mark Perry is convinced that MacArthur’s legacy has been unfairly skewed, and he sets out to put the record straight in his new book. Perry contends that despite his flaws, MacArthur became a military legend who not only led America to victory in the Pacific, but also reshaped modern warfare in the process.